It all began with a vision to make entire India ride on four wheels. Car was a dream for various Indians and living that dream was quite heavy on their pockets. With Tata Nano, those desires have finally got the wings to fly high and the country is no more confined to compromises. Available at just a few digits higher than a lakh, Tata Nano is perfect drive for the middle-class and lower-middle class families of the nation. As the world’s most economical small car, Used Tata Nano rides incredibly without any fuss. Tata Motors offers its cars in the most durable and stylish form, which are easy to maintain and easy on pocket. 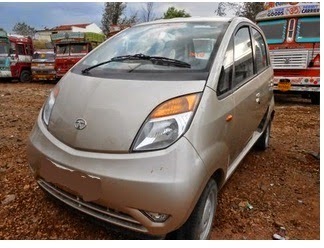 So, don’t waste time and grab a Used Tata Nano at one of the Shriram Automall India Limited’s (SAMIL) bidding event. On its impeccably transparent and well-structured bidding platforms, SAMIL serves a wide spectrum of pre-owned vehicles and equipment. While you explore different avenues of buying a used vehicle in India, what comes in front of you is a wide range of options. Be it bidding/auctions, online websites, brokers, dealers or private sellers, all of them have their own positive aspects. But your selection of the method must be based on your needs, including price, services, preference, speed and many more. So, before you go out to purchase a used vehicle in India, ask yourself these following questions and make that perfect choice for yourself. What is the price of that used vehicle? Is it worth negotiation? Will the return on investment be lucrative? Is the used vehicle inspection possible before purchase? And, is it worth a purchase after inspection? When will the pre-owned vehicle be delivered? Is there any hidden cost linked to the used vehicle’s purchase? Is the finance on that second hand vehicle possible? Are the service records real and maintained properly? How are the after-sales services of the purchasing method opted for? Are there any additional services available? Shriram Automall India Limited is one of the most organised companies in India to facilitate the acquisition and disposal of used vehicles and equipment. It conducts regular bidding events in its Automalls and through its online web portal to serve a wide variety of pre-owned commercial vehicles, construction equipment, used passenger vehicles and many more. How to Maintain A Used Bike? For the entire bike freaks out there, this piece of information carries a lot for you people. When you buy your first bike, be it a new or used, its maintenance is a big aspect that many of us forget. Generally, a used bike needs more attention in comparison to a new bike. So, let’s talk about the maintenance tips of used bikes, specifically. Your first step must be to take your used bike for regular maintenance checkup. Find out a nearest dealership and take your bike there regularly. Make sure, you don’t change your dealership; that ways you can get assured of excellent services. For most of the used bikes, battery is a big issue. Learn the basic ways to take care of a bike’s battery. Breakdowns are very common in areas where servicing shops are not available. Hence, it is very important to keep the tools in hand always, so that you never get stuck in between. 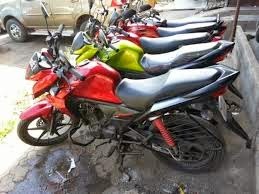 For refurbishment of your used bike, Shriram Automall India Limited (SAMIL) is one of the most dependable options in India. The company facilitates the acquisition and disposal of pre-owned vehicles and equipment through its well-structured and transparent bidding platforms. How to Bid on Used Cars? All of us aspire to be a proud car owner in our lives. Once an individual settles down in his life, one of the foremost priorities that arise in front of him is the purchase of a car. It can either be a new or a pre-owned car. Nowadays, bidding has become quite a prominent mode of acquiring a pre-owned car. Let’s check out various points to be considered while we make a purchase of the second hand car. First of all, carry out a thorough research on the type of bidding event you are going to attend. This is because; many times these bidding events are open to car dealers only instead of the entire public. Make sure you reach the bidding event before time so that you get an opportunity to inspect the pre-owned cars before only. This way you can also make a better choice while bidding. You can also carry a car expert along with you so that anything wrong with the used car of your choice will not remain hidden from you. For an ultimate bidding experience in the acquisition of pre-owned cars, you can get in touch with Shriram Automall India Limited (SAMIL). The company serves all the esteemed brands of cars on its bidding platforms.